Head to BrAgora and Raggio Venezianofor some retail therapy. 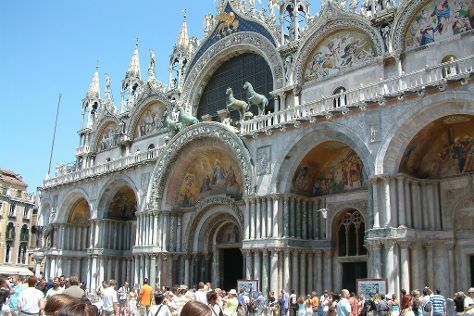 Your inner history buff will appreciate Basilica di San Marco and Peggy Guggenheim Collection. And it doesn't end there: contemplate the long history of Porta della Carta, stop by Magie di Carnevale, get to know the fascinating history of St. Mark's Square, and explore the activities along Canal Grande. To see reviews, where to stay, other places to visit, and more tourist information, use the Venice holiday planner . Newark, USA to Venice is an approximately 11-hour flight. You can also do a combination of train and flight; or do a combination of flight and shuttle. The time zone changes from Eastern Standard Time (EST) to Central European Time (CET), which is usually a 6 hour difference. Expect a daytime high around 77°F in September, and nighttime lows around 60°F. Finish your sightseeing early on the 6th (Thu) so you can drive to Cinque Terre. Popular historic sites such as Cinque Terre Trails and Santa Margherita di Antiochia Church are in your itinerary. 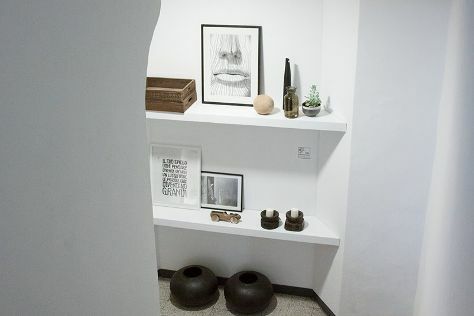 Give yourself a bit of retail therapy at Vernazza and Art in Banchi. There's lots more to do: look for gifts at Cinque Terre Trekking, take in the architecture and atmosphere at Convento dei Cappuccini e Chiesa di San Francesco, contemplate in the serene atmosphere at Chiesa di San Lorenzo, and learn about winemaking at Terra di Bargòn. For other places to visit, photos, traveler tips, and more tourist information, you can read our Cinque Terre trip planning app . Traveling by car from Venice to Cinque Terre takes 4 hours. Alternatively, you can take a train; or do a combination of flight and train. In September in Cinque Terre, expect temperatures between 79°F during the day and 59°F at night. Wrap up your sightseeing on the 9th (Sun) early enough to travel to Santa Maria di San Siro. Do your shopping at Gelateria Dulcis in Fundo and Oleificio Vanini Osvaldo. Visit Castello di Vezio and Greenway del Lago di Como for their historical value. Change things up with these side-trips from Santa Maria di San Siro: Castello di Corenno Plinio (in Dervio), Varenna (S. Giovanni Battista & Chiesa di San Giorgio) and Abbazia Cluniacense di Santa Maria di Piona (in Colico). For where to stay, ratings, reviews, and other tourist information, read our Santa Maria di San Siro online trip itinerary builder . You can drive from Cinque Terre to Santa Maria di San Siro in 5 hours. Prepare for a bit cooler weather when traveling from Cinque Terre in September: high temperatures in Santa Maria di San Siro hover around 73°F and lows are around 54°F. Finish up your sightseeing early on the 12th (Wed) so you can travel to Como. Your inner history buff will appreciate Broletto and Basilica di San Fedele. Give yourself a bit of retail therapy at Dep Design Store and L'Isola Che Non C'E' Sas Di Valli Franca & C.. Explore the numerous day-trip ideas around Como: Bellagio (Il Capriccio, Azalea - Silk of Como, & more). The adventure continues: look for gifts at Tea World, get some fabulous bargains at Giorgio Armani Outlet Srl, and get outside with Lake Como Adventures. To see where to stay, other places to visit, more things to do, and more tourist information, use the Como trip itinerary builder . Traveling by car from Santa Maria di San Siro to Como takes 1.5 hours. Wrap up your sightseeing on the 15th (Sat) to allow time to travel back home.